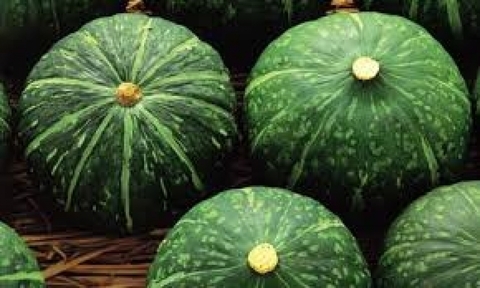 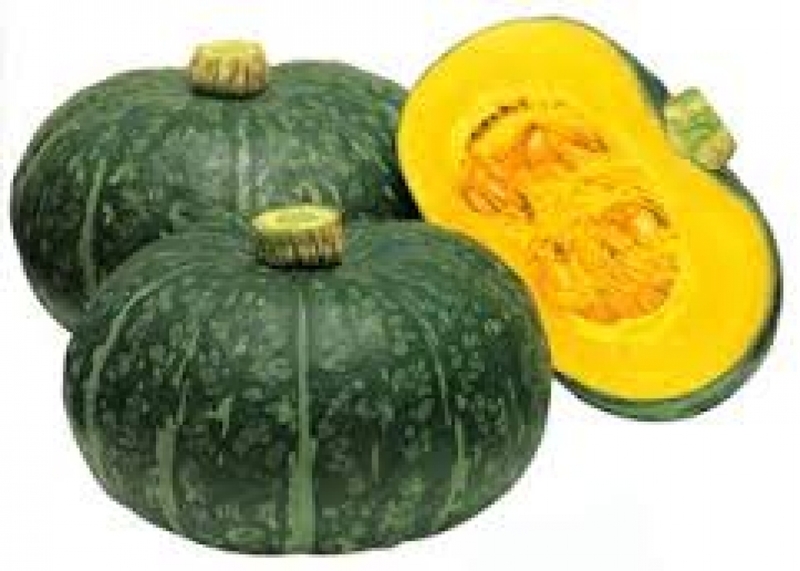 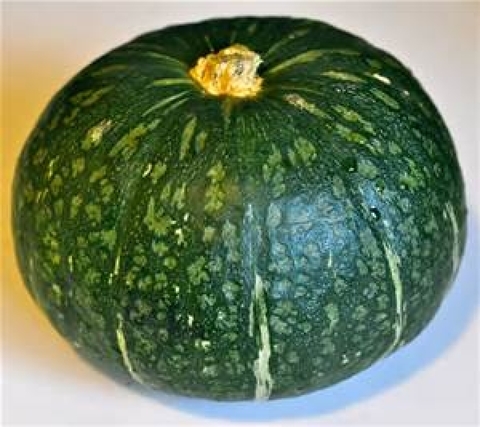 Kabocha is hard, has knobbly-looking skin, is shaped like a squat pumpkin, and has a dull-finished, deep green skin with some celadon-to-white stripes and an intense yellow-orange color on the inside. In many respects it is similar to the Buttercup Squash but without the characteristic cup on the blossom end. 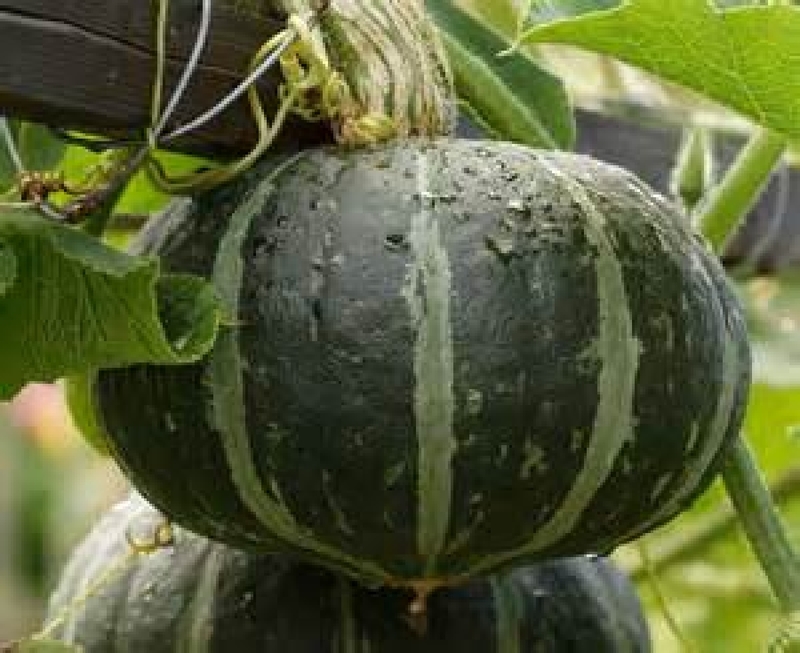 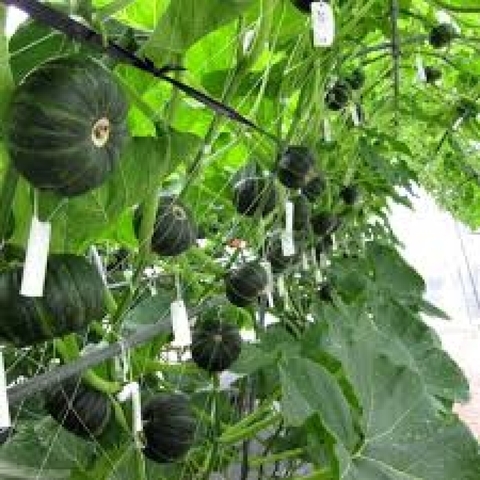 The plant grows vigorously and is very prolific.